This year we are going to some really high end smartphone’s, two of them are already announced and many are going to come soon. 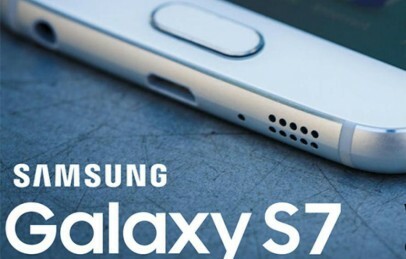 As per latest updates Samsung Galaxy S7 and LG G5 are reportedly announced on February 21, a day before MWC 2016 event. Both device are seen with really high performing specification and impressive design. Earlier its expected that HTC One M10 to get announced at MWC but HTC is playing it’s cards really safe. As per reports HTC will release One M10 in a separate event schedule to held in April till then both phones will be available in market and that will be perfect time for HTC to launch M10 Flagship. So, we are just one month away to see another giant smartphone. This MWC, Sony has also made a big announcement by launching Xperia X series and as per reports they will not release Xperia Z6. Here we are going to compare HTC One M10 vs. Galaxy S7 smartphone to see which of them will be best phablet this year. Both theses Smartphone are going to have high end specifications. Samsung Galaxy S7 will come with 5.1 inch AMOLED display while at other hand HTC one M10 is rumoured to have 5.5 inch display. Earlier this year we are expecting 4K resolution to be part of next flagship phones but till now we have not seen any 4k Smartphone. Both LG G5 and Galaxy S7 has QHD resolution but hopes are still live as HTC M10 can features 4k resolution. Samsung is again failed to have USD Type-C while it’s competitors HTC ONE M10 is expected to have it. Last year we have seen fastest mobile processor as Qualcomm released Snapdragon 820 SoC. Both these Smartphone’s are reported to have Snapdragon 820 processor with Adreno 530 and 4GB RAM. Samsung galaxy phones will also have Exynos 8890 model which are more powerful than Snapdragon 820. With Exynos variant phones, users will get 20-30% more performance as it has 2.5 GHz Quad Core Cortex-A53. Samsung has launched Galaxy S7 flagship with 12 MP f/1.7 aperture camera lens at back and a 5 mega pixels camera at front. Trying Hands on Galaxy S7 we captured some high quality pictures that shows that 12 MP camera phone can also beat some 20 MP camera’s. HTC One M10 is expected to come with 20 MP f/2 camera which can also shoot decent images. Both phones will be capable to shoot [email protected], [email protected] videos. It will have 8 MP front camera. Samsung in-house camera sensors are reported to be far better than ISOCELL, which means we are going to some amazing camera performance with Galaxy S7 series. Meanwhile it’s better to get a camera review for both devices but as both phones are not available you have wait for at least one month as Galaxy S7 is going to be available by March 11. Samsung has already launched Galaxy S7 series and pre-orders are on its peak while you have to wait a bit for One M10. HTC will announce HTC One M10 flagship soon in April. We all know price is not going to matter a lot when it comes to high end devices. But still we can say HTC is going to quite affordable at this point as they are reported to release HTC M10 around $600 – $650 USD. While at other hand preorders for Galaxy S7 started at approx $699 USD and S7 Edge for $799 USD retail price. So, although Samsung doesn’t manage to get 4k display, USB Type-C this time but with Snapdragon 820, Exynos 8890 and improved design Galaxy S7 is still a winner of people choice at present moment. HTC has great possibility to knock down Samsung if they bring something out of the box features that Samsung has failed with S7. We are going to update you with more details soon. You can share your thoughts on these Smartphone’s by commenting below and before leaving make sure to like and share us via social links below.